Martin Grelle's dramatic use of color is amazing. His paintings convey the spirit and beauty of the West. 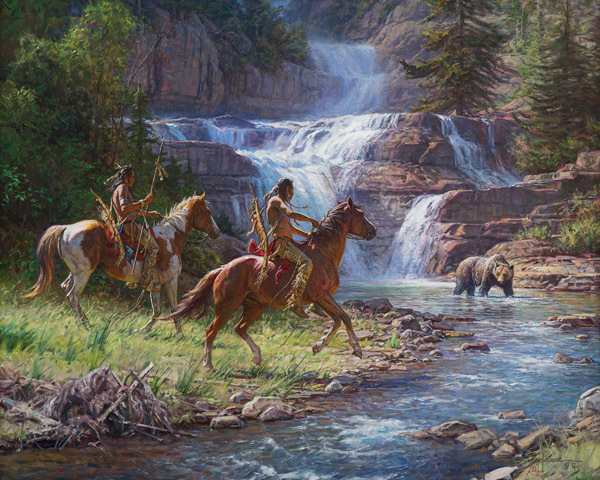 In this release, two braves approach the waters cautiously, as they have company. The large bear is watching them. The magnificent, lush forest and cascading falls offer a cool respite for the braves and for the bear. Who knows how this encounter will end.